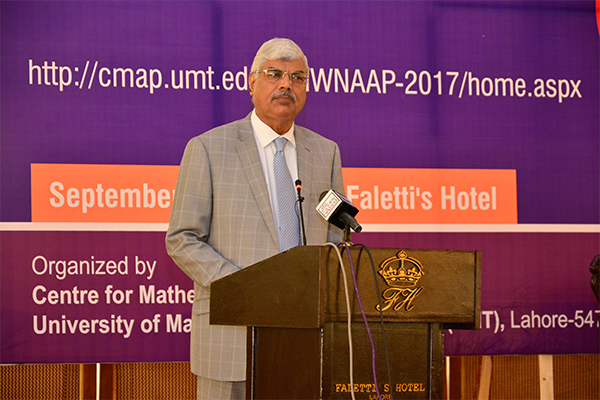 The inaugural session of the International Workshop on Nonlinear Analysis and Applications (IWNAAP) organized by the Center for Mathematics and its Applications (CMAP) was graced by the presence of Dr Muhammad Aslam, Rector UMT, Abid H K Shirwani, DG UMT, and Dr Showkat Rahim Chowdhury, Founding Director, CMAP. 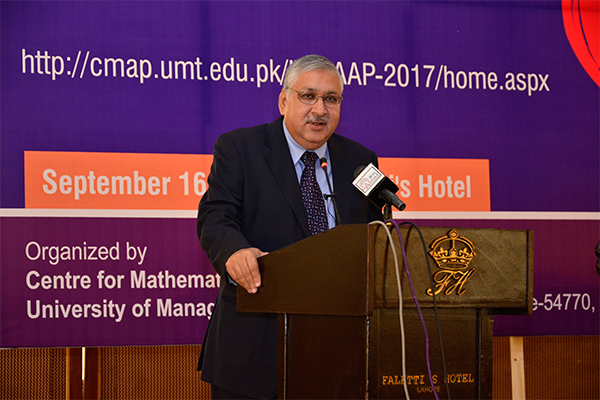 A large number of mathematicians, scholars, faculty members and students attended the workshop. Nonlinear Analysis plays a very important role in the advancement of science and technology today. It has provided the basic theoretical tools to solve real world problems. Its role is inevitable in interdisciplinary sciences and social sciences as well. 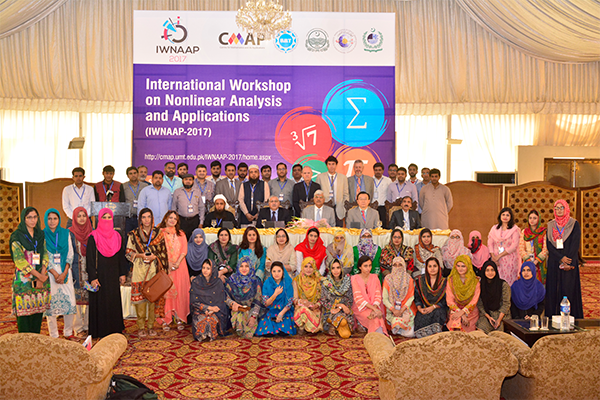 The 2-day workshop aims to build an interaction among all Nonlinear Analysts all over Pakistan and other countries. 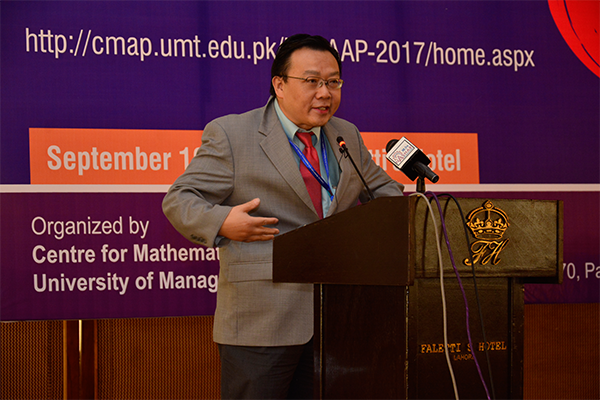 The participants will have an overview of the recent development in the several areas of Nonlinear Analysis. 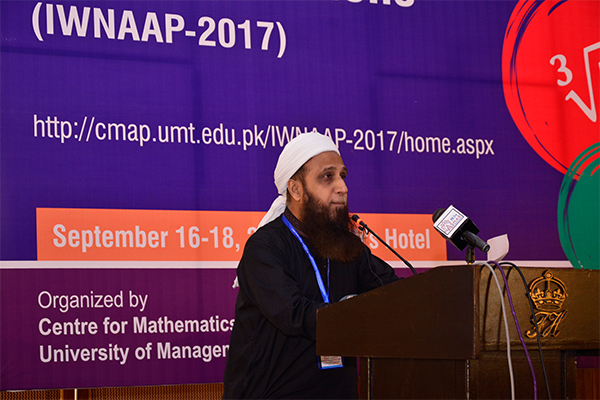 The goal is to bring together mathematicians and students to discuss problems, ideas and methods from one community to the other, so as to enhance progress in understanding. 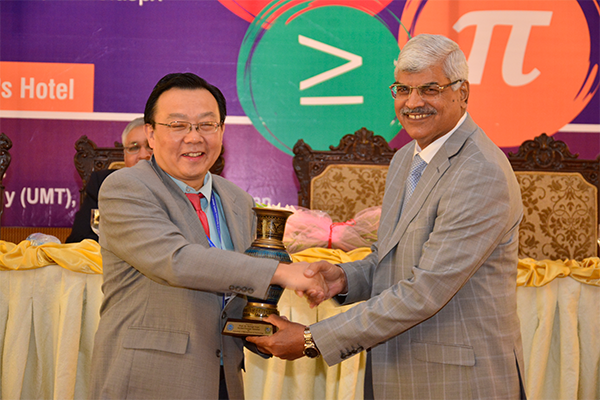 The program will have an impact upon the career path of the students/doctorates/post-doctorates.